23. Reza Barati’s family: ‘We want answers. What did they do to him? 24. Can Turkey handle free and fair elections? 32. Bianet Media Monitoring 2013: Arrests, Assaults, Editorial Interventions, Layoffs. A BDP-HDP delegation is expected to visit Kurdish People’s Leader Abdullah Öcalan on İmralı island next week. Mr Öcalan is expected to give the delegation a Newroz (New Year) message during the visit. A BDP-HDP delegation last visited the island on 8 February. Following that visit BDP MPs İdris Baluken and Pervin Buldan announced the three conditions Mr Öcalan had proposed to enable the process to move forward at a press conference in the Turkish parliament. Although the BDP MPs called for the process to be put on a legal footing, and contact continued with the government, no steps have yet been taken. At a press conference attended by IHD (Human Rights Association) branches in the region a demand has been made for the government to meet its obligations for a lasting peace, and for the release of PKK leader Abdullah Öcalan. At the press conference organised by 17 branches and representative offices in the region, it was stated that developments regarding the process were causing concern. Akdemir listed the joint proposals of the IHD offices in the region. *Firstly, in order for a democratic, honourable and lasting peace to be ensured, Mr Abdullah Öcalan, who is one of the architects of the process of resolution, must attain his freedom. 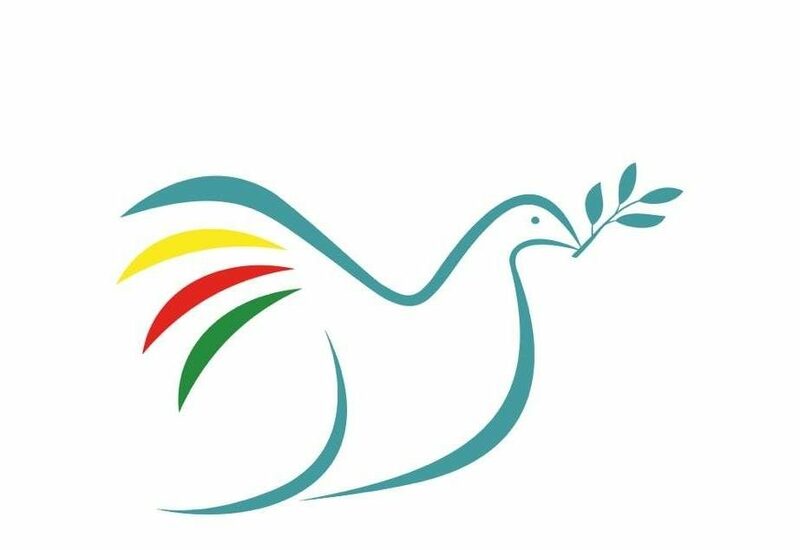 The Freedom for Öcalan, for Peace Platform spokeswoman, Zübeyde Teker, has underlined that the campaign aims at collecting 10 millions of signatures. “This is a campaign – she said – for peace. 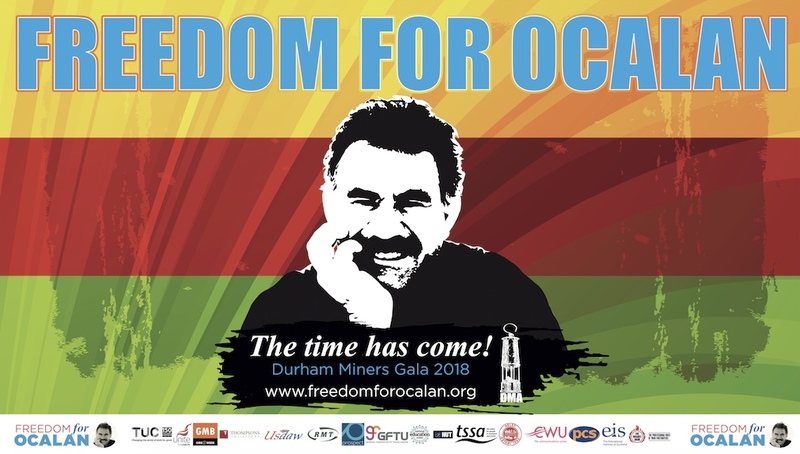 To free Öcalan would be the biggest contribution to peace”. Teker added that “the campaign aims to make the request of freedom for Öcalan as the natural demand people should ask. We will get Öcalan known to everybody, his ideas, his thought, his role and contribution to peace”. Swedish Left Party MP Amineh Kakabaveh said Sweden and other Western countries based their relations with Turkey and Iran on economic interests, not on human rights, adding that the peace process in Turkey had come to a halt on account of it being conducted unilaterally. Kakabaveh said the talks should be carried out in a transparent fashion under the auspices of a country or institution in order for the process to be revived. Kakabaveh compared İmralı island to Guantanamo, and said she would make a written application to the Interior and Justice ministries to visit Kurdish People’s Leader Abdullah Öcalan. Including news on YPG gains in Rojava, Sinam Mohammad’s recent visit to Norway, and new laws in Turkey granting the MIT further powers. The Turkish army is continuing to create tension along the borderline despite the ongoing ceasefire of the Kurdish armed movement and its recent warnings over the increasing military activity of the Turkish army on the border. Besides the intense activity of military helicopters and warplanes in Şemdinli region, soldiers in large numbers are being deployed to reinforce border units and F-16 warplanes are carrying out flights over the regions controlled by the PKK (Kurdistan Workers’ Party) in Federal Kurdistan Region. The new law on the National Intelligence Agency (MİT) aims to introduce legal immunity to the agency’s officials negotiating a peace deal with the outlawed Kurdistan Workers’ Party (PKK), according to a prominent Kurdish politician. Pervin Buldan, the parliamentary group leader of the pro-Kurdish Peace and Democracy Party (BDP), said the talks ongoing on İmrali Island with the PKK’s jailed leader Abdullah Öcalan, as well as with PKK’s representatives in the Kandil Mountains, are currently illegal. “If the process is disrupted there is no guarantee of what will happen to us,” she told daily Hürriyet. Upon strong criticism from the public and the opposition parties, the government has taken a few steps back regarding its bill to equip the National Intelligence Organization (MİT) with expanded powers. After lengthy discussions on Feb. 22, the first day of debates over the bill, Parliament’s Internal Affairs Commission resumed debates on Feb. 23, with the ruling Justice and Development Party (AKP) indicating that it was willing to take the bill to the General Assembly this week. Thousands of people, including Prime Minister Recep Tayyip Erdoğan, national intelligence chief Hakan Fidan and a wide range of journalists, academics, business leaders and NGO representatives, have been wiretapped for years by the police as part of different probes, Turkish media claimed Feb. 24. The reports prompted a top judicial body to open an internal investigation into the claims, but were dismissed by the prosecutor involved in the cases. The classified files on the wiretappings were found in the Istanbul Public Prosecutor’s Office by the new prosecutors who were assigned following mass purges in the judiciary, pro-government dailies Star and Yeni Şafak claimed in separate but similar reports. Turkish Prime Minister Recep Tayyip Erdogan on Thursday openly challenged his arch-rival, US-based Muslim cleric Fethullah Gulen, to return home as their feud deepened with a second leaked recording linking the premier to a corruption scandal. In his first direct appeal to Gulen, Erdogan said: “If you have not done anything wrong, do not stay in Pennsylvania. If your homeland is Turkey, come back to your homeland.” “If you want to engage in politics, go out to the squares. But do not stir up this country. Do not disturb the peace of this country,” he told a boisterous crowd of supporters in the southwestern city of Burdur. The people involved in producing and broadcasting an alleged recording of Turkish Prime Minister Recep Tayyip Erdoğan speaking with his son will be prosecuted, according to a senior advisor to the prime minister. That recording has made waves this week, the latest in a string of controversies that have crippled Erdoğan’s government since a corruption investigation into senior members of his party was launched on December 17. The People’s Democratic Party’s (HDP) local election campaign team in İzmir’s Urla district were targeted Feb. 23 by a crowd of 1,000 people, who were chanting nationalist slogans. Several people were injured as a result of the incidents as police struggled to bring the groups under control. The crowd hurled stones as around 100 HDP members arrived in the town to stage a campaign event, preventing the bus carrying them entering Urla’s center. In an article appearing on vivahiba.com, Musa Ataç has written about the first communal Kurdish school in Turkey, construction on which recently began in the district of Lice in Diyarbakir Province. According to the article, the people of Lice are developing an alternative practice around education and ‘free life.’ The youth of the village of Kerwas (Turkish: Yalaza) made the decision to open a communal school and recently began work on its foundation. The youth taking part in the project are involved in everything from the school’s construction to education itself. A group of over 80 bipartisan lawmakers and foreign policy wonks are appealing to US President Barack Obama to take a more forceful, public stand against Turkish Prime Minister Recep Tayyip Erdogan’s efforts to “diminish the rule of law” and “undermine democracy.” The letter, whose existence was first reported on by The Daily Beast online news site, comes during tense times in Turkey, with Erdogan conducting a shake-up of the law enforcement and judicial establishments in order to shore up his hold on power. According to reports, Kurdish fighters from the Committees for the Protection of the Kurdish People (YPG) expelled all elements of Al-Qaeda’s al-Nusra Front, former Al-Qaeda representative in Syria, the Islamic State of Iraq and Levant, as well as militants from the Ahrar al-Sham armed group, Al-Alam reported. Tell Brak is a settlement mound in the Upper Khabur area in Al-Hasakah Governorate, Northeastern Syria. Fighting in the area started on Friday after Kurdish fighters attacked militant bases in the town. The dominant military force in Syria’s Kurdish regions said it was halting military operations against Islamic extremist groups, following apparent allegations of arrests and human rights violations against local residents after an offensive on the town of Tal Barak. The People’s Protection Units (YPG) said in a statement it was suspending military operations in the three “cantons” of Cizire, Kobani and Afrin, created in the northeast last month by its political overseer, the Democratic Union Party (PYD). The YPG said its decision was aimed at avoiding Kurdish-Arab tensions, which apparently rose following an offensive last week in which the Kurdish forces wrested control of Tal Barak from the jihadist Islamic State of Iraq and the Levant (ISIL). Women have played a major role in every phase of the Rojava Revolution, and with the proclamation of autonomy women are receiving legal guarantees of their rights. Following the Cizîre Canton’s proclamation of autonomy last month the Women’s Legislative Committee was formed in order to draw up laws with the goal of promoting gender equality. The committee, which is composed of 25 people from various women’s organizations, is set to present 39 amendments to the canton government upon their finalization. While fighting to reclaim their own cultural and political rights, Kurdish communities in Syria encourage others to defend peaceful co-existence. Thousands of Kurdish school kids in Syria’s Kurdish region took to the streets on International Mother Language Day to promote cultural diversity and multilingualism amid the ongoing sectarian civil war. International Mother Language Day is a UNESCO sponsored annual observance day, although passing unnoticed in many countries around the world for school kids here in Syria’s Kurdish north it was a nationwide event celebrated in various forms. Sînem Mihemed, the co-president of Rojava’s People’s Assembly, is currently in Norway in order to draw attention to the revolution in Rojava and the project of democratic autonomy. According to an article appearing in Yeni Özgür Politika written by Baran Adıyaman, Mihemed’s visit was organized by Roja Darian, the president of the Kurdistan group with the Norwegian Labor Party, and Mihemed has been accompanied during her visit by Serbest Welat, a member of the PYD Commission in Norway. The debate follows the release of the Swedish Government’s 2014 Foreign Policy Declaration as different parties within parliament are offering their views on Swedish foreign policy. Bodil Cebellos, the foreign-policy spokesperson of the Environmental Party/The Greens, referred to the proclamation of Democratic Autonomy in Rojava by saying that it could “cut the Gordian knot in Syria.” Rojava is one of many topics currently under discussion, including the crisis in Ukraine, NSA spying in Europe and Swedish government cooperation, and the Swedish role in NATO operations in Afghanistan. The family of the Iranian asylum seeker killed during unrest in a Papua New Guinea detention centre have said they want answers from the Australian government on what happened to him in their custody. The 23-year-old Reza Barati lost his life after sustaining “multiple head injuries” when violence broke out between asylum seekers and guards earlier this month. He was transferred to Manus Island following his arrival in Australia in July. Since the initiation of the graft probe on December 17, 2013 that forced four ministers to resign and PM Recep Tayyip Erdogan to reshuffle his cabinet, the AKP government has been fervently pushing through laws that have been provoking widespread reactions not only in Turkey but also in Europe and the US. Taken onto the agenda with unprecedented haste, these changes give sweeping additional powers to government, expanding executive control over key institutions ahead of the crucial elections in 2014. 25. Why are emerging markets in political turmoil? The fighting between Prime Minister Recep Tayyip Erdoğan and Islamic cleric Fethullah Gülen seems to have come to a halt. Investors are happy, as they feel that the conflict has been resolved for good, with Erdoğan having emerged victorious. They could be making a fatal mistake. Maybe, we are just in the middle of a temporary ceasefire in trench warfare. This paper’s editor-in-chief Murat Yetkin, who is known to be well-connected in Ankara, argues that the second round will kick off after March 2, the deadline for replacing candidates for the upcoming local elections. Before Orhan Pamuk came to prominence in the West and launched Turkey once more into the international literary scene, Yaşar Kemal was Turkey’s best known writer, nominated for the Nobel Prize in Literature several times since 1973. A Turkish writer of Kurdish origin, he has been compared by many to Tolstoy and Dostoyevsky. He is known for combining the folk stories and legends of the Çukurova plain of southern Turkey with the Turkish vernacular of the region, thus recreating the Turkish that was spoken by Turks before the purification of Turkish by Atatürk. Before to look at the Geneva Conference in general and to evaluate our scenarios and indicators, we need to understand all changes on the ground. Over the Autumn and Winter we have witnessed a major reconfiguration of forces in Syria, as seen in the last post with the rise of Salafi-Nationalists. We shall today look at the evolution that took place in Western Kurdistan, notably the birth of novel political institutions, Rojava, and how and why Kurds relate to the Geneva conference, before turning (forthcoming post) to the last Sunni alliance to emerge the Syrian Revolutionaries Front and to the National Coalition. Rojava is the Western (Syrian) part of Kurdistan with a population of three million. Despite its relatively small size in terms of area and population, Rojava is today under attack by the reactionary and colonial forces in the Middle East. Embargoes are imposed and neighbouring countries try to isolate Rojava by closing borders. Puppet gangs are carrying out massacres. Between 1920 and 1946, when Syria was occupied by France, the national rights of the Kurds were not recognised. Nothing changed after the withdrawal of the French in 1946. The new Syrian government denied the Kurdish people their rights and they were considered as ‘foreigners living in the region’, without rights to education, property and movement. In 2003, Saleh Muslim Mohammed was a founding member of the Democratic Union Party, better known by its Kurdish acronym PYD, which is the largest Kurdish party in Syria. In 2010, he was elected party chairman. When the PYD established a gender-balanced double chairpersonship in 2012, he continued as one of two co-chairs alongside his female counterpart, Asya Abdullah. The PYD says it supports a negotiated transition, but it boycotted the Geneva II conference for peace in Syria. Why? We wanted to go, but . . . [those organizing the conference] didn’t allow us. If you invite somebody to come, you have to invite them in accordance with their identity. We would like to go there identified as Kurdish people, saying that the delegation has one member of the Kurdish people representing the Kurds. But they didn’t allow us to do this. 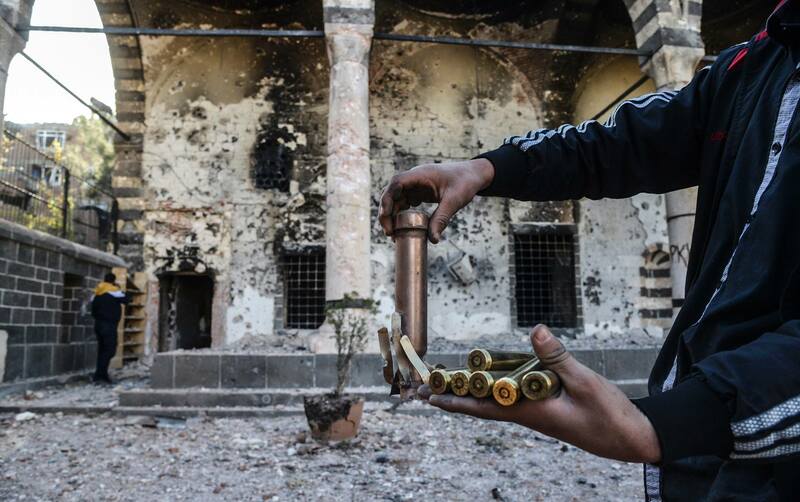 But we are ready to join Geneva II or Geneva III anytime—as soon as they accept the Kurdish being. The decision by the influential Foreign Affairs Select Committee in the British Parliament to initiate an in-depth and comprehensive inquiry into all aspects of the Kurdistan Region is a triumph for all those who have long argued for the need to increase understanding between the UK and the Kurdistan Region. The news of the inquiry follows two major parliamentary debates in a year on the Kurdish genocide, which was formally recognised as such by Parliament, and a more recent and general debate on Anglo-Kurdish links. The latter debate allowed MPs in the all-party group to ventilate the key recommendations of a visit last November. One of the key recommendations was a Foreign Affairs Committee inquiry. 32. Bianet Media Monitoring 2013: Arrests, Assaults, Editorial Interventions, Layoffs. 18 February 2014. 33. PJAK: We will elevate our struggle with slogan of “Freedom for lea der APO is the freedom of Kurdish nation”, 13 February 2014.